Rhinelander Brewing has a long history in the North Woods. Founded in 1882, the Rhinelander brand became well-known for its 7-ounce “shorty”, the stubby bottle that some other brands have imitated. A many local brewers did in the 1960s, the original Rhinelander Brewery facility shut its doors in 1967. The Joseph Huber Brewing Company bought the rights and kept them until Jyoti Auluck purchased the brand back in 2009 and brought back the original malty recipe to their flagship and signature beer: Rhinelander Export Lager. More places around the state are carrying the shorty bottles, and in Rhinelander, it’s even available on tap. 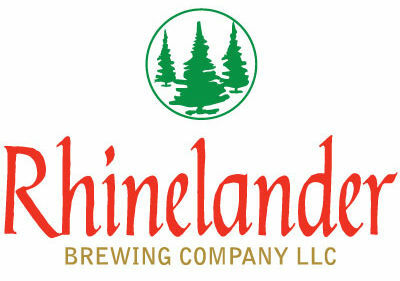 Rhinelander is working to build a brewery back in its hometown; for the time being Rhinelander Export Lager and Rhinelander Light are brewed by Minhas Brewing in Monroe. They’re also adding craft brews, including Chocolate Bunny, Imperial Jack IPA, Mystical Jack Ale, and Thumper IPA – yes, all rabbit-themed. Their offices are in Rhinelander on Brown Street but there is no brewery back yet. You’ll find their beers in pretty much every bar in town, though!